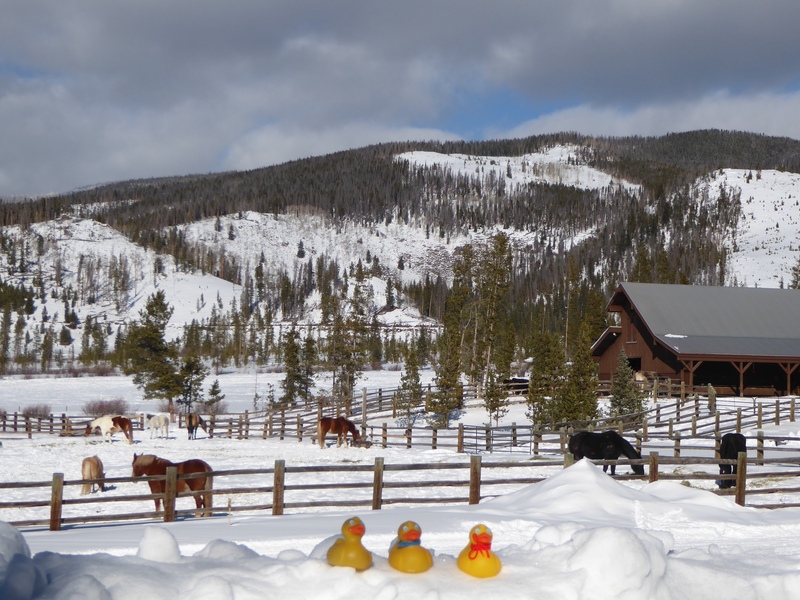 We, the Colorado Traveling Ducks, will show you another small Colorado mountain town today. 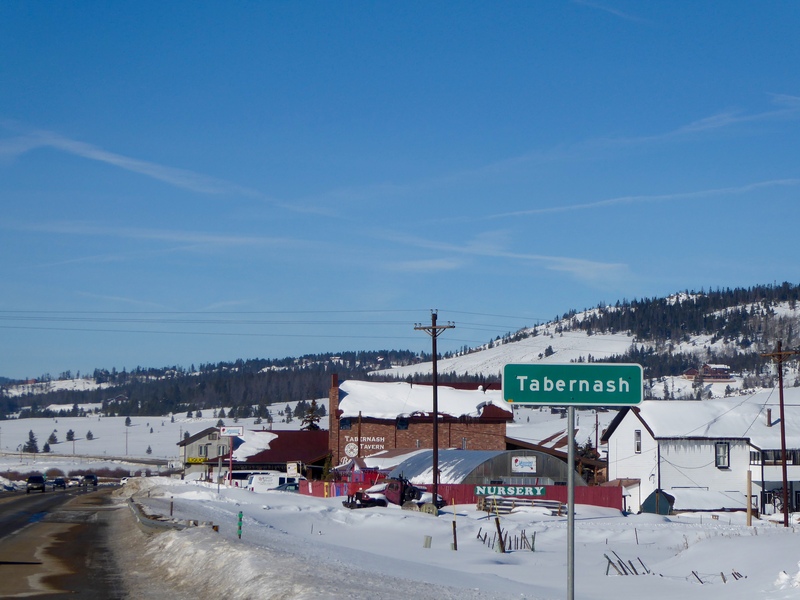 A few miles from Winter Park, Colorado, a major ski destination, is Tabernash. This is a rural Colorado mountain town. There are no suburbs here. Just beautiful open space. 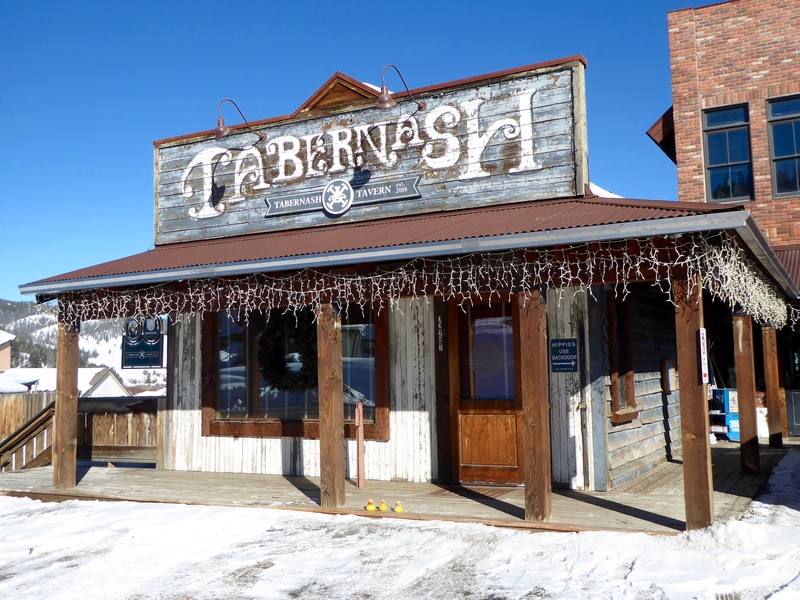 One of the major gathering places is the Tabernash Tavern. Open for Happy Hour and dinner, it is the place to be. We think this store has the perfect name. 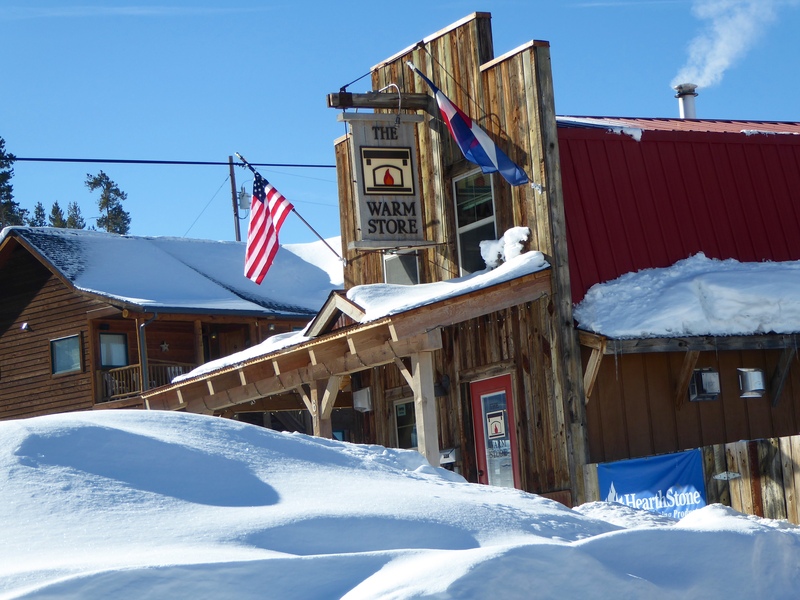 The Warm Store was very inviting last week; it was 9 degrees when we were there. About 2 miles east of Tabernash is Devil’s Thumb Ranch. 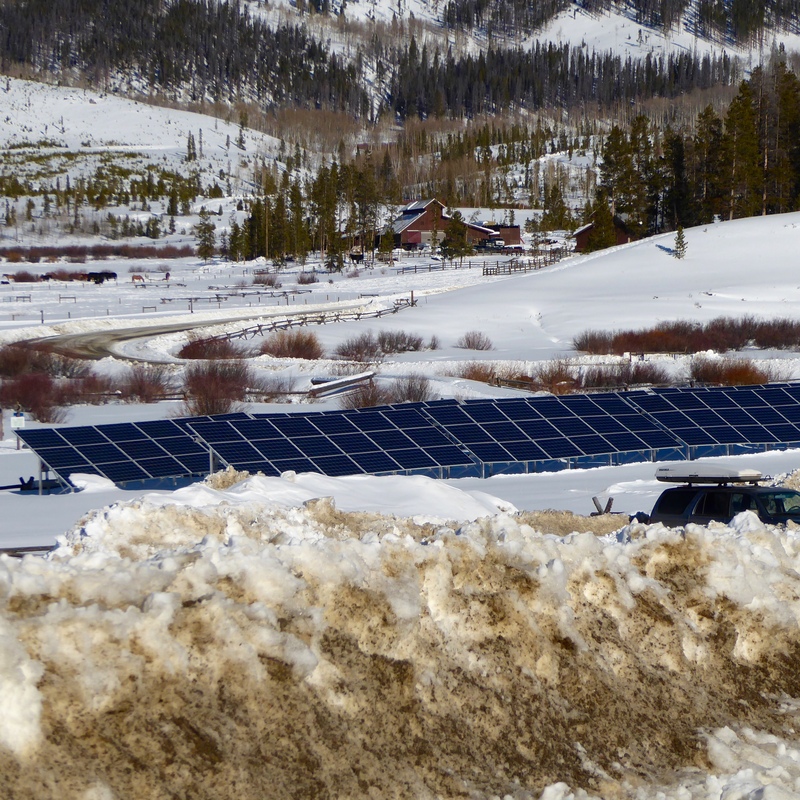 Across from the lodge at Devil’s Thumb Ranch, we noticed these solar panels. 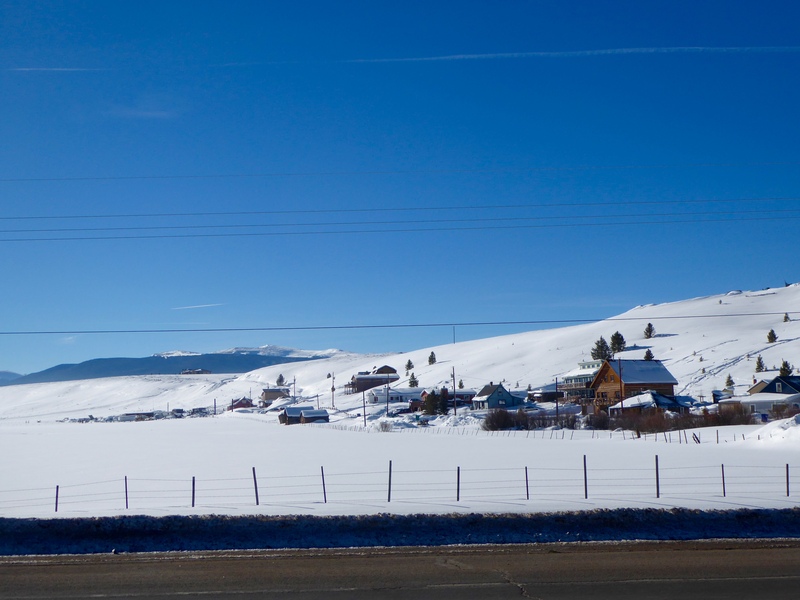 Colorado has more days of sunshine than Miami, Florida, so solar energy is often used. 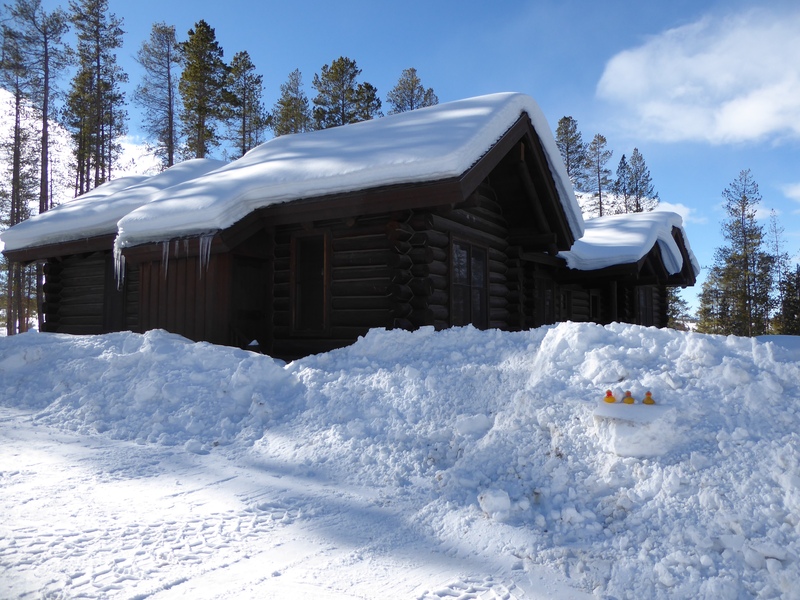 In addition to the lodge, humans can rent cabins. There are several here. This one even comes with icicles. Guests can head to the stables for horseback rides. 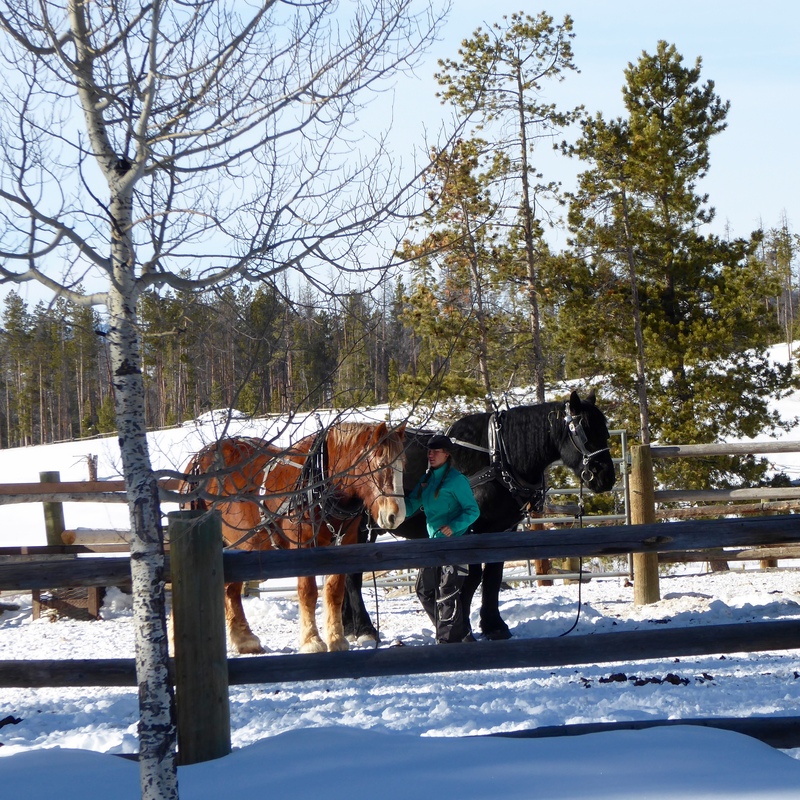 Often the horses are pulling sleighs through the snow. These horses are getting ready for a sleigh. 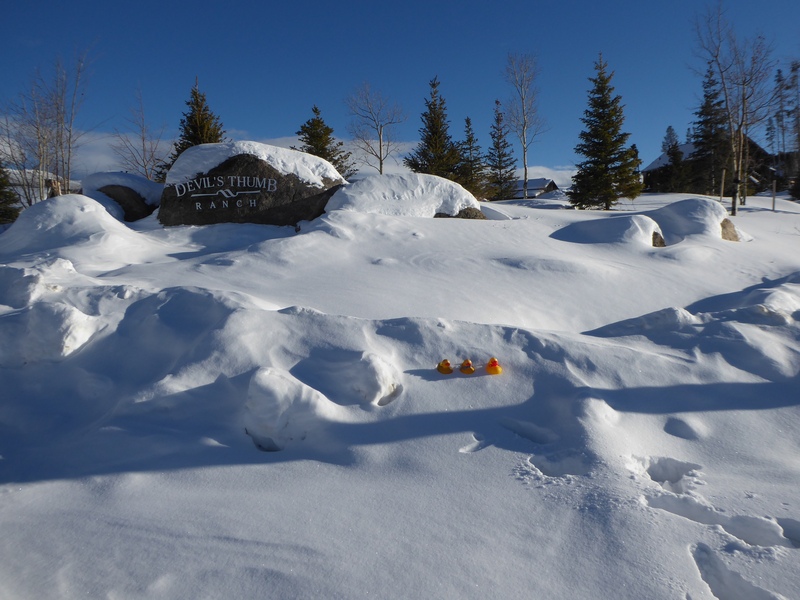 This resort has much flat land and many cross country ski trails. Devil’s Thumb Ranch is a great place to visit and when we were there, it was not very crowded. 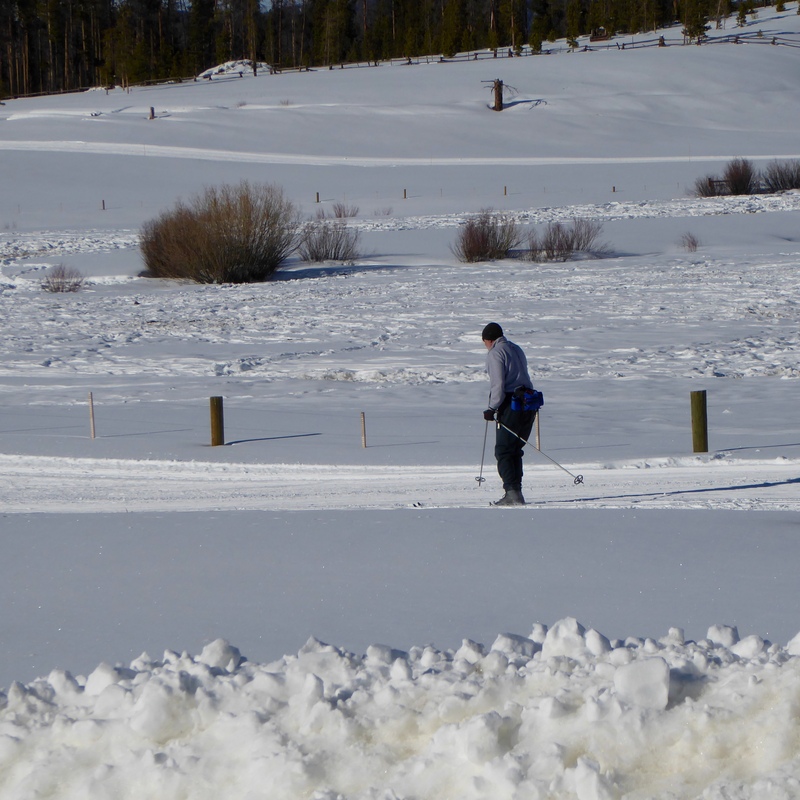 What a great place for cross country skiing, and only a few minutes from Mary Jane Mountain at Winter Park Resort. You may also snowshoe, ice skate and going tubing here. For more information, visit www.DevilsThumbRanch.com The Colorado Traveling Ducks hope you enjoy much of what Colorado offers. 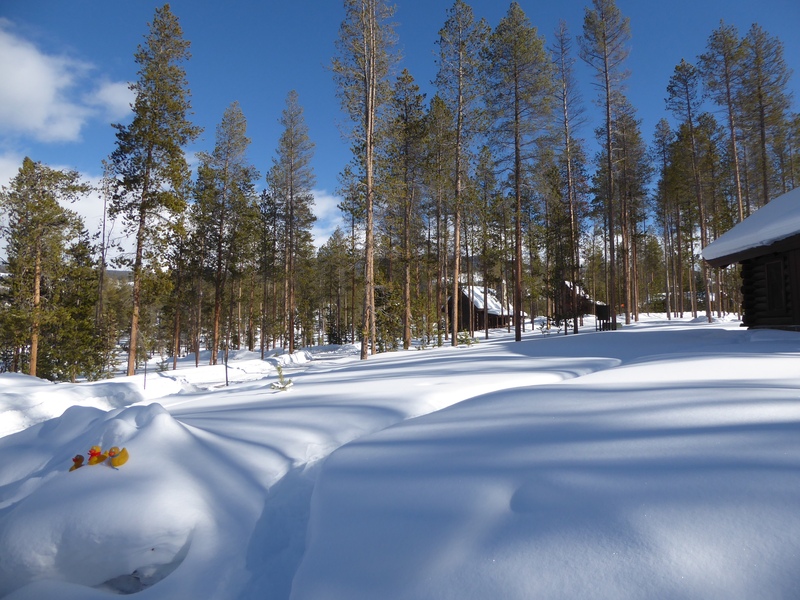 This entry was posted in Colorado, Uncategorized and tagged Colorado, Colorado Traveling Ducks, cross country skiing, Devil's Thumb Ranch, Tabernash, Tabernash Tavern, the Warm Store. Bookmark the permalink.